I really don't like paying bills. It doesn't add any value, it reminds me about money going OUT instead of in, and it's repetitious. For that reason, I've actually tried to time all my incoming bills and due dates so I can pay all my bills just once per month. You can actually ask your credit card companies and many other recurring billing outfits to shift your due date to a particular date. 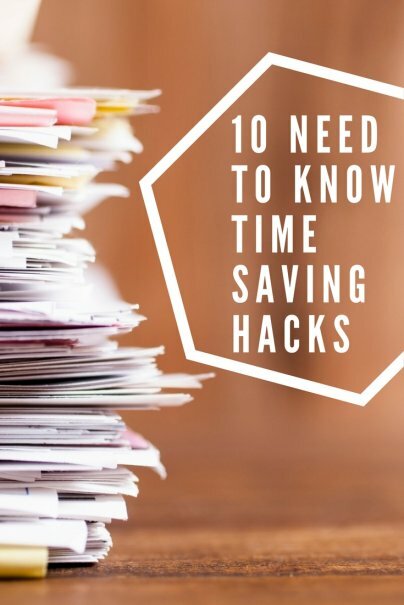 In doing so, if you have all your bills due on say, the 10th of the month, that will allow ample time for an end-of-month paycheck to come in, and you can then pay all your bills at once. The act of logging on to my online banking, getting out the checkbook and calculator, and doing the payments is much more efficient when done all at once rather than multiple times per month. The dreaded postal routine. There are few things I find to be more annoying than having to dig out an envelope and mail something. Inevitably though, I still have to do this a few times per month for anything from one-off medical bill payments to paying our kids' speech instructor. Each time we do this, it requires writing a check, finding an envelope, writing out the address, and so on. By leaving these types of bills in one spot and hitting them once per month (often the same night as my online bill payment ritual), it saves me time elsewhere in the month. I know I have room for improvement in the blogging efficiency category, but I have been able to achieve some improvements in my output through batch processing my tasks. I tend to write at least two posts instead of just one when I have a nice block of time to work. If I only have a few minutes here and there, I focus on administrative tasks like email, Twitter, and following up with advertisers. By splitting out my large blocks and small blocks and doing at least two articles a few nights a week, it ensures I can take a couple nights a week off and still hit all my freelance commitments while keeping my blogs current. When I was in college and, more recently, pursuing my MBA, I would batch process my reading and homework assignments. I'd always try to identify large one-to-two hour blocks and crank out a lot of work for a particular subject, get that off the list, and then move on to something else. One of the biggest productivity killers is jumping from subject to subject, which is a subtle form of procrastination. One of the biggest mistakes investors make is starting late. So, I started investing early, but I used to spend a lot of time researching and managing my investments. Now I've put virtually everything on autopilot, and I only set aside a little time each month to research new individual stocks and make a new trade. I do my net worth calculation just once per month, and in eliminating a lot of unnecessary distractions, research, and transactions, I'm getting the same performance with less time invested. Admittedly, I'm not the biggest achiever in this department, but I do have some routine chores I help out with. And I pretty much own everything outside the house. So, I always try to lump all my outside activities together in the same day. If I'm going to have to dig out the old shoes, the headphones, and sunglasses to mow the lawn, I might as well hit the weeds, fertilize the lawn, power wash, or whatever else is on the list. I'd much rather get it all done in a large block on a Saturday than allow it to build up or have to spend a little time each weeknight gearing up and cleaning off. I always try to limit trips out of the house. Not only does this save on gas, but it saves me time. My wife tends to go out virtually daily, but I think this is more a function of being a stay-at-home mom and wanting to mix up the routine than anything else. I'll always try to gang an oil change with getting gas, hitting the bank, a rare shopping trip, or whatever else I have to get done. The mere act of going out to the car, leaving the neighborhood, and getting into town is a big time waster. During a lunch break, at night, or whenever you spend some time on the web, it's much more efficient to check out a lot of stories at once via Twitter or RSS rather than "grazing." You can even parse out the type of articles you're going to check out with different tabs in your RSS reader or with lists in Twitter. In doing so, you can get a lot of great content from your favorite outlets in a short period of time and then go about your day and be efficient elsewhere after a little downtime. Spending the day jumping from site to site and following bookmarks is no way to efficiently read the latest and greatest on the web. This might sound trivial, but think about it. In the month of May alone, we had our anniversary, Mother's Day, and my wife's birthday. You know when it's the day before your spouse's birthday, you have to run out of work a few minutes early to pick up a card, and then you realize you forgot to get one from the kids? Not only did this waste your time, but it probably cost you more money because you paid for convenience by going to the closest place. What I like to do is buy several months worth of cards for holidays and stash them in my glove compartment. I had each card ready for each occasion in May, signed and everything! Now that's efficiency! Take inventory of all the activities that you spend at least 10 minutes on multiple times per month. Are there areas for consolidation? Just like paying all your bills at once or cutting down on the number of times you run your errands, surely there are other activities specific to your life that aren't captured here. If you need to, take a notepad around with you for a few weeks to identify new tasks to batch process. What are some activities you batch process? I definitely agree with writing several blogs at one time if you can. This takes tremendous pressure off of us. I also tend to set time for reading blogs, commenting, and checking out social media sites in batches. There are plenty of "to-do's" in our lives so it is best to simplify these things. 1. I automate as many bills as possible. For a long time, I did it through my bank's bill pay system, but now I've moved most of them off to a rewards credit card. I've only got a couple of bills that I have to pay attention to each month. With the greeting cards, I inherited hundreds of them from my Born Organized in-laws. I keep them all in one place, and I don't have to buy any except for sympathy cards (because I ran out). Cooking. I don't actually get it done in batches, but if I did, I'd save bundles of money. Yes! I don't batch cook as much as I'd like to, but every time I do, I'm always amazed to remember how much time I can save. Even just mixing two weeks worth of salad dressing at once instead of just a day or two worth is a great. Most people probably do this with showering--also washing hair, conditioning hair, shaving, drying off, combing hair, applying sunscreen or lotion, and checking whether nails need trimming. Most people probably do this with grooming--brush teeth, floss, wash face, brush hair, put on hand lotion/lip balm. I also put on earrings in the bathroom. I also do squats and calf raise while brushing my teeth. And most people do it with shopping - buy the stuff, bring it in, put it away, take care of the bags. This is also a good time, if relevant, to file receipts and warranty information and to add the item to your household inventory if you have one. Dishes - put away clean dishes, wash dirty dishes, clean the counters and stove top, sweep the floor. Garbage - empty all the small garbage cans into the kitchen garbage, take out the kitchen garbage, replace the garbage bags. Workday food - While waiting for breakfast to cook, get lunch ready and pack it up. I mostly pay bills as they come in, but I pick a day near the end of the month to make sure I've gotten everything paid. Occasionally I will decide all of my work outfits at the beginning of the week. These are some good tips, sometimes you forget how valuable your time can be. I automate all my bills and check my transactions daily or weekly on Mint. Autopay is awesome though because you're never late on your payments!